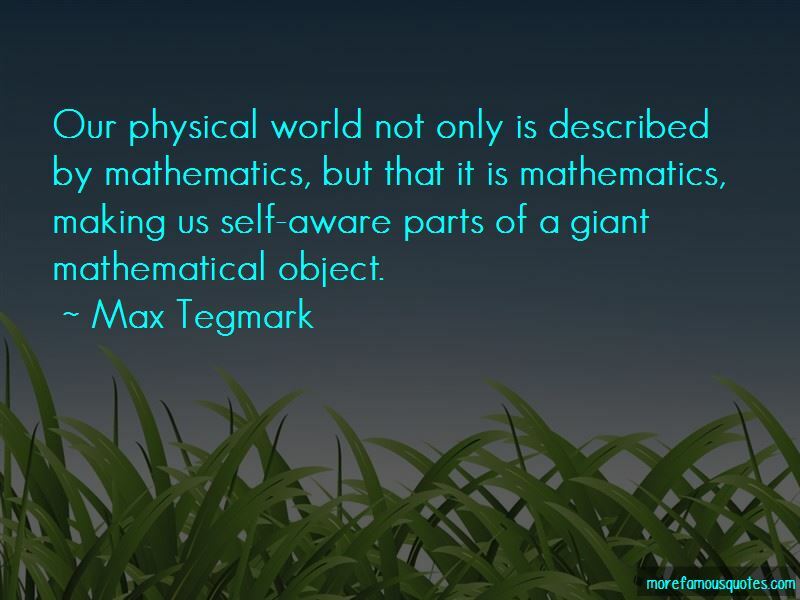 Enjoy the top 50 famous quotes, sayings and quotations by Max Tegmark. So I feel that the experimental verdict is in: the world is weird, and we just have to learn to live with it. The Canadian-Australian mathematician Norman Wildberger has posted an essay arguing that real numbers are a joke. Generations of physicists and chemists have studied what happens when you group together vast numbers of atoms, finding that their collective behavior depends on the pattern in which they're arranged:the key difference between a solid, a liquid and a gas lies not in the types of atoms, but in their arrangement. My guess is that we'll one day understand consciousness as yet another phase of matter. I'd expect there to be many types of consciousness just as there are many types of liquids, but in both cases, they share certain characteristic traits that we can aim to understand. In other words, the idea is the there's a fourth level of parallel universes that's vastly larger than the three we've encountered so far, corresponding to different mathematical structures. The first three levels correspond to noncommunicating parallel universes within the same mathematical structure: Level I simply means distant regions from which light hasn't yet had time to reach us, Level II covers regions that are forever unreachable because of the cosmological inflation of intervening space, and Level III, Everett's "Many Worlds," involves noncommunicating parts of the Hilbert space of quantum mechanics. Whereas all the parallel universes at Levels I, II and III obey the same fundamental mathematical equations (describing quantum mechanics, inflation, etc. ), Level IV parallel universes dance to the tunes of different equations, corresponding to different mathematical structures. Figure 12.2 illustrates this four-level multiverse hierarchy, one of the core ideas of this book. Darwin's theory thus makes the testable prediction that whenever we use technology to glimpse reality beyond the human scale, our evolved intuition should break down. We're all born with curiosity, but at some point, school usually manages to knock that out of us. 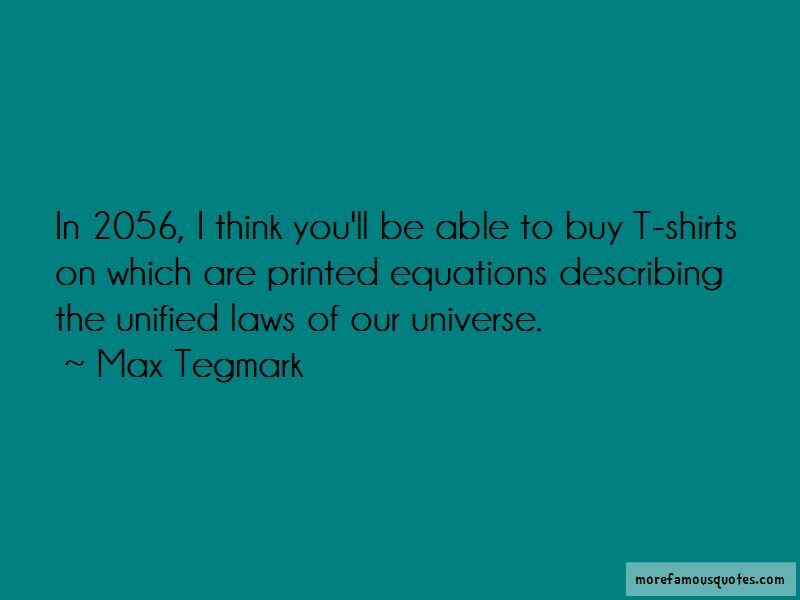 In 2056, I think you'll be able to buy T-shirts on which are printed equations describing the unified laws of our universe. 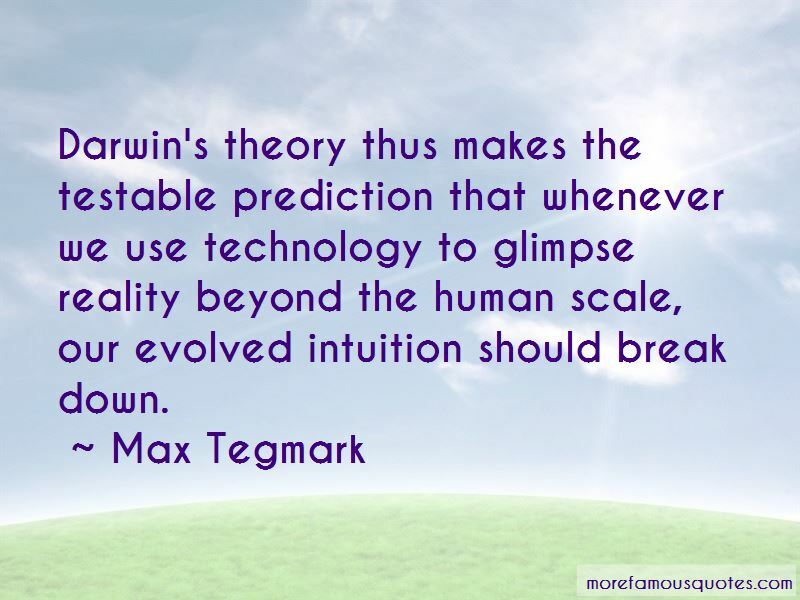 Want to see more pictures of Max Tegmark quotes? 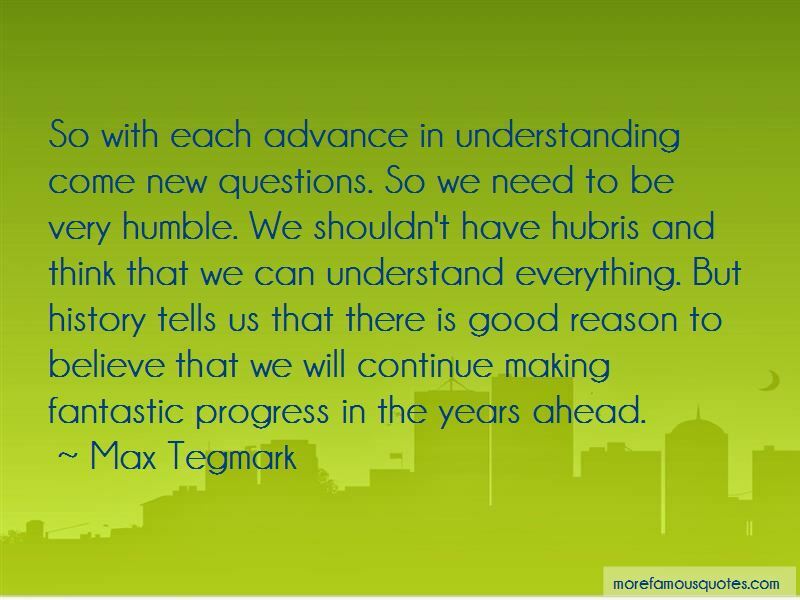 Click on image of Max Tegmark quotes to view full size.